Months ago I saw a co-worker with THE CUTEST slip on shoes. She looked adorable and the shoes were cute, casual and effortless. I've been stalking (aka wishing I had an extra $250 to throw around) Vince slip-ons for the better part of a year and I assumed they were Vince and not in my immediate budget. After the third time I saw her wearing them, I had to ask. She let me in on her cute little secret: Dr. Scholls! WHAT? Dr. Scholls? Isn't that the company who makes insoles for my dads shoes? Isn't that the company who makes my 91-year-old great aunt's favorite shoes)? Yes, yes it is. They haven't stopped making any of those OG favorites, but they've now joined the trendy bandwagon. One sufficient Instagram lurk later, I was totally on board. Their Instagram is hard to differentiate from most 30-something fashion bloggers I follow. OK, OK, OK, OK, OK, I admit it...I LOVE DR. SCHOLLS. 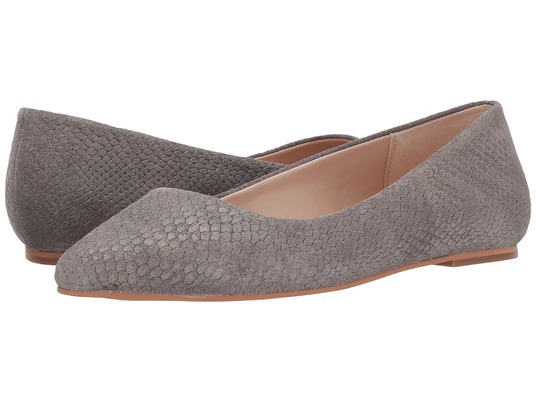 I ordered the Madison flats and haven't been sorry even a little bit. They're cute, affordable and real talk: I can spend a full day running around in them without any rubbing or hint of pain. They are incredibly comfortable.